EcoNorth work with a whole range of organisations from individual developers to global multi-disciplinary corporations and Government Departments, ensuring their compliance with wildlife legislation. 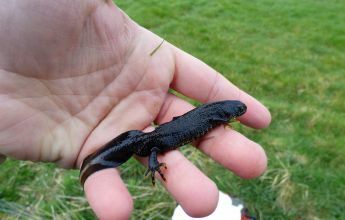 We provide a range of services from baseline appraisals to specialist species surveys and habitat assessments throughout the UK. To gain an understanding of the types of work we undertake take a look at some of the most recent and exciting case studies taken from our extensive project portfolio. If you want to know more about the work we do, don’t hesitate to get in touch. 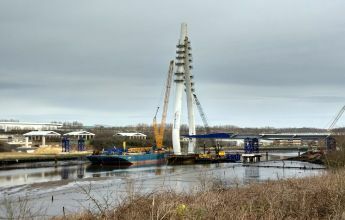 The Northern Spire bridge is an impressive new bridge structure for Sunderland City Council. 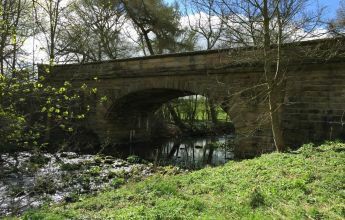 Our consultants were involved on the project from early stages providing pre-construction surveys, site inspections and checks in areas capable of supporting protected species, Ecological Clerk of Works, and post-construction monitoring. Center Parcs Whinfell Forest sits on the edge of the Lake District National Park and is an award-winning holiday village, known for providing short breaks in natural forest surroundings. 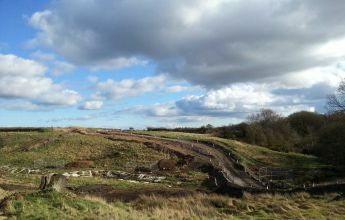 EcoNorth continues to contribute to the enhancement of the wildlife that flourishes on site and which visitors enjoying watching. The construction of the Morpeth Northern Bypass has relieved the rush hour traffic and opened the area to increased business development, economic regeneration and potential inward investment. 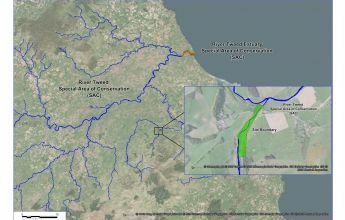 EcoNorth joined the project as the Project Ecologist and Ecological Clerk of Works. 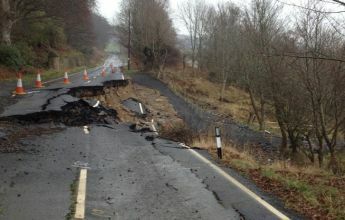 VBA, a joint venture of VolkerStevin, Boskalis Westminster and Atkins, worked on behalf of Northumberland County Council to re-instate the B6344 at Crag End where the road was subject to a major landslip in 2012. 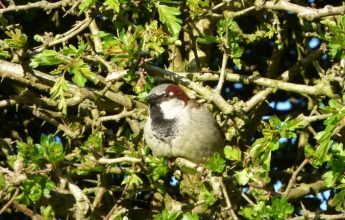 To create an area for holiday accommodation where people can enjoy the countryside and wildlife in shepherds' huts accommodation, EcoNorth has supported a local entrepreneur, through advice and survey work, to ensure that the planning application has progressed smoothly and the wildlife will benefit too! The Garden Village imitative promotes mixed use developments whose primary objective is to provide a sustainable solution to the national housing crisis. EcoNorth's pragmatic and diplomatic approach, backed up by detailed knowledge of the site and species present, enabled us to provide an acceptable solution welcomed by both the client and consultees. 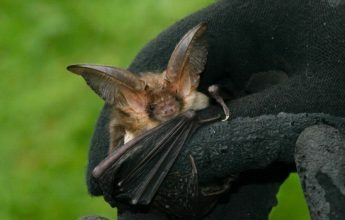 Seahouses Middle School is currently undergoing major renovations and, to ensure that these can progress in a legally compliant manner, EcoNorth's Suitably Qualified Ecologists (SQEs) provided breeding birds nest checks and tree bat roost assessment. 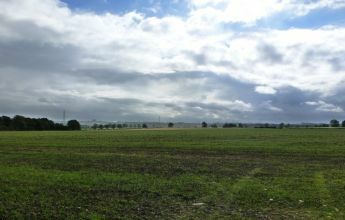 EcoNorth was appointed as the Project Ecologist for the redevelopment of a new residential area. 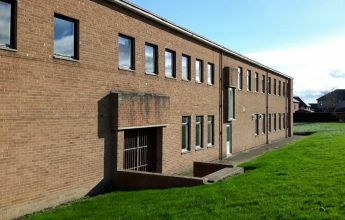 This complex site of over 60 old and modern buildings of varied condition and construction type has challenged EcoNorth logistically with the requirement of 218 bat surveyors for a single survey! 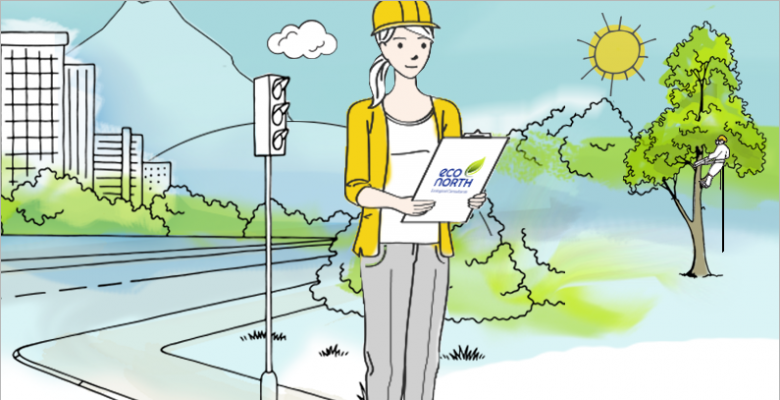 For a number of years EcoNorth has undertaken ecological consultation and survey work for Northumberland County Council on a suite of schools across the county. 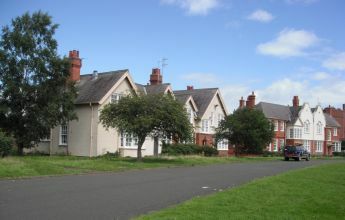 The majority of the schools were due to undergo demolition or improvement works. 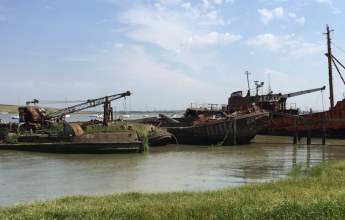 Standard Wharf, located on the south side of the River Thames, is a historically important anchorage site which will be transformed into a marine jetty to establish waterborne traffic and trade to and from other wharfs along the Thames, South East England and Europe. EcoNorth was asked to join the project team to undertake terrestrial ecological surveys. 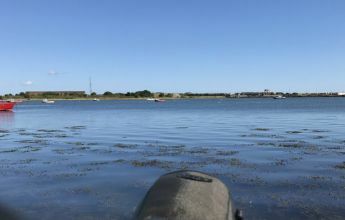 River Blyth Estuary is an excellent place for waders, gulls and terns, and it has recently been designated with the highest level of protection as the Northumberland Marine Special Protection Area (SPA). EcoNorth was commissioned by Arch Developments Ltd to provide survey information for the qualifying features of the Northumberland Marine SPA. 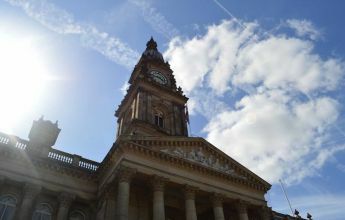 The Bolton Town Hall project aimed to refurbish the Bolton Albert Hall, transforming the building internals and surrounding area. EcoNorth’s role was to provide ecological support to the project in relation to bats and birds, in particular, the impact of the project on a pair of breeding peregrine falcons that breed on the clock tower. The town of Ponteland suffers from regular flood events. As well as providing the client with the detailed baseline ecological data in a timely manner, allowing the FAS design to be established, EcoNorth helped facilitate the consultation process with statutory agencies and interested parties. In 2015, severe rainfall caused significant flooding resulting in £500m of damage to homes and infrastructure, including many of the existing key flood defence structures. 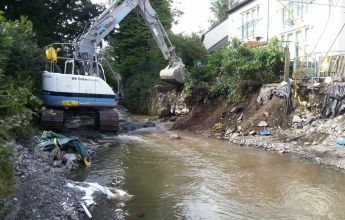 EcoNorth supported VBA Joint Venture Ltd in the Environment Agency Asset Recovery Programme, repairing over 50 flood stricken sites across the region. 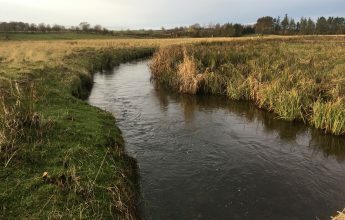 EcoNorth has completed surveys of the ponds and compiled an Ecological Enhancement Plan for Pickering Showground, which will be transformed into the Ryedale Exhibition and Leisure Village. The completed project will feature luxury ‘glamping’ pods around a newly created lake, combined with wildlife areas, as well as open areas for exhibitions and events.